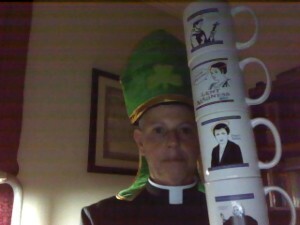 Ever since we announced our Mug Shot contest, we have been inundated with photos of Lent Madness fans and their mugs. While we usually put things to a vote around here, the Supreme Executive Committee is pulling rank and simply pronouncing a winner. Supremity does have its privileges after all. But before we announce the winner — who will receive the famous cardboard cutout of 2015 Golden Halo winner, Francis of Assisi (as seen on Monday Madness) — we thought we’d share some of our favorite Mug Shots. These are just a few of the many we received! 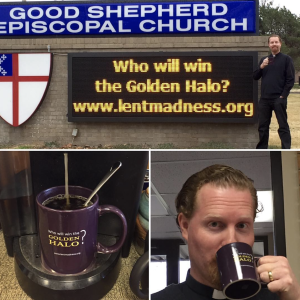 Check out more by searching for “#LentMadness #MugShot” on Facebook or Twitter. We also received quite a few by email. 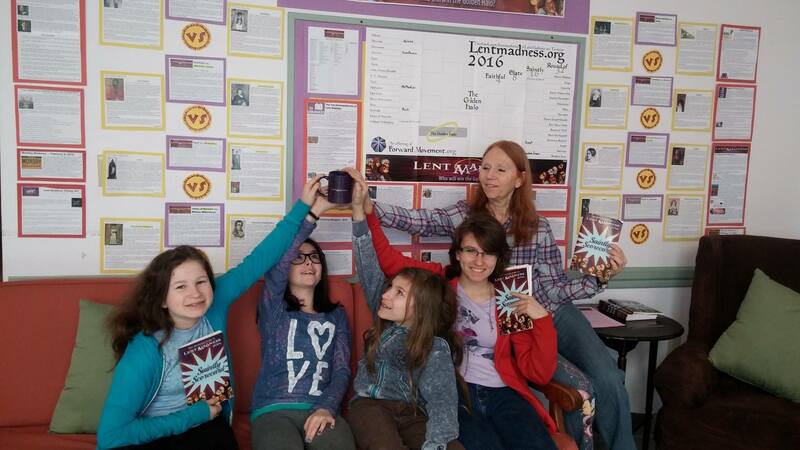 We really enjoyed seeing how creative the Lent Madness Global Viewing Public can be. Thanks to everyone who submitted photos on Facebook. Twitter, and Instagram. You may not have won the grand prize but you are, as we understand it, still a winner in God’s sight. So, enjoy scrolling through some of these pictures and note that in our benevolence, we have awarded prizes to the top three. 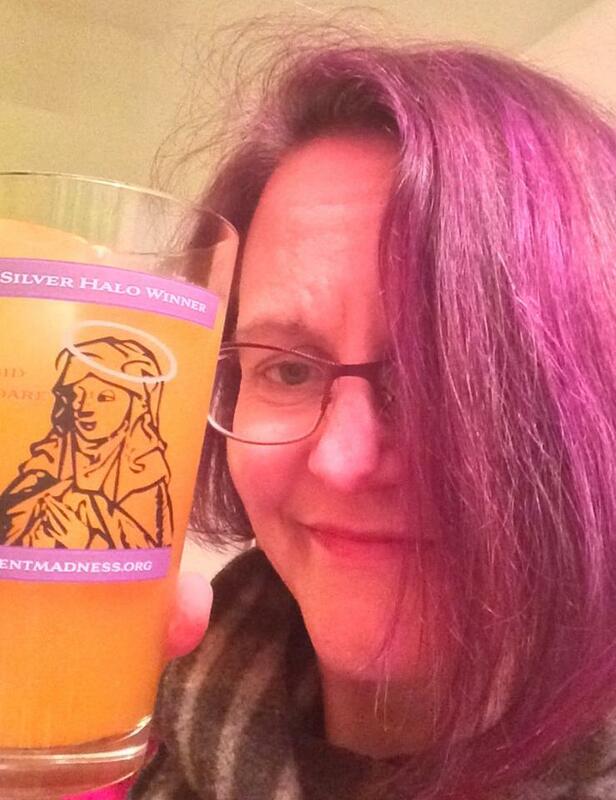 The First Runner Up will receive an “evergreen” (okay, ever-purple mug). 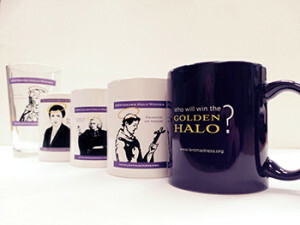 The Runner Up will receive a mug featuring the to-be-determined 2016 Golden Halo winner. 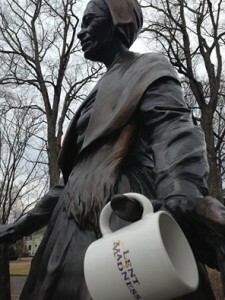 And, of course, the Grand Prize gets to live with an actual saint! The HONORABLE MENTION goes to Christ Episcopal Church Springfield, MO (and St. Helena). 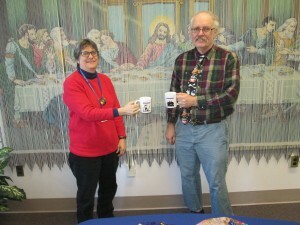 The FIRST RUNNER UP goes to Sunday School at Church of the Holy Cross in North Plainfield, NJ. 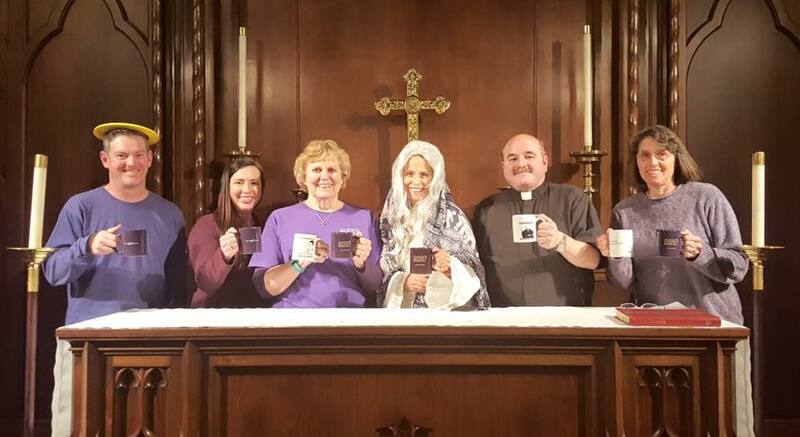 The RUNNER UP goes to Church of the Good Shepherd in Acton, MA. Just kidding. The SEC isn’t eligible. The GRAND PRIZE really goes to…Oliver_eight years old! CONGRATULATIONS! And thanks to everyone for playing along. 85 Comments to "Mug Shot Winner Announced!" YES!!!! Way to go Oliver!! And thank you to the Supreme Executive Committee for their dedication and hard work! 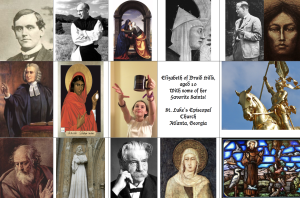 A shout-out to all the saints-in-the-making who participated in this event. 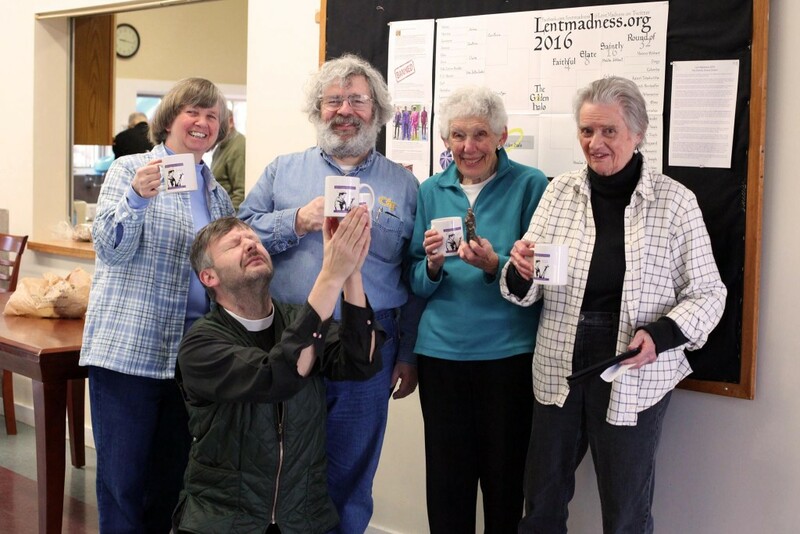 Congratulations to all the winners, and extra-special congratulations to Oliver, the Grand Champion of Lent Madness 2016 (Mug Shot edition). That was my thought also! HELP! I’m having withdrawal! I still did not get today’s duo. I love Oliver’s comments every day, so I’m glad to see him here as well. We couldn’t have asked for a more appropriate result. Cheers to the SEC! And congratulations to Oliver! Love all the mug shots!! Especially happy for Oliver…love his Lent Madness posts! Hooray! I love reading Oliver’s posts every day. A worthy winner! Woot!!! Woot!!! I am thrilled that Oliver won. 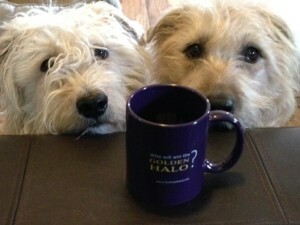 Oliver’s posts have been meaningful to me during this Lent. Way to go Oliver!!!! Outstanding! Here’s to Oliver and his faithful posts. some fabulous halos were displayed! Hurray for Oliver! A most hearty congratulations to Oliver, eight years old! It is nice to see you after reading your thoughtful and faithful posts! How wonderful that Oliver won! And I’m so pleased to be able to put a face to the person whose posts make me smile all during Lent. Good choice, SEC. Great Choice – Way to go Oliver!! Woo hoo, Oliver!!! 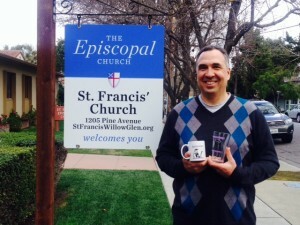 Congratulations for winning the mug shot grand prize! I think it’s neat that you also have been a faithful voter & I love reading your comments! You rock! Way to go, Oliver! I’ve looked forward to your posts every morning! Way to go, Oliver. I enjoy reading your posts every morning and congratulate you on your win! I am in Arizona. 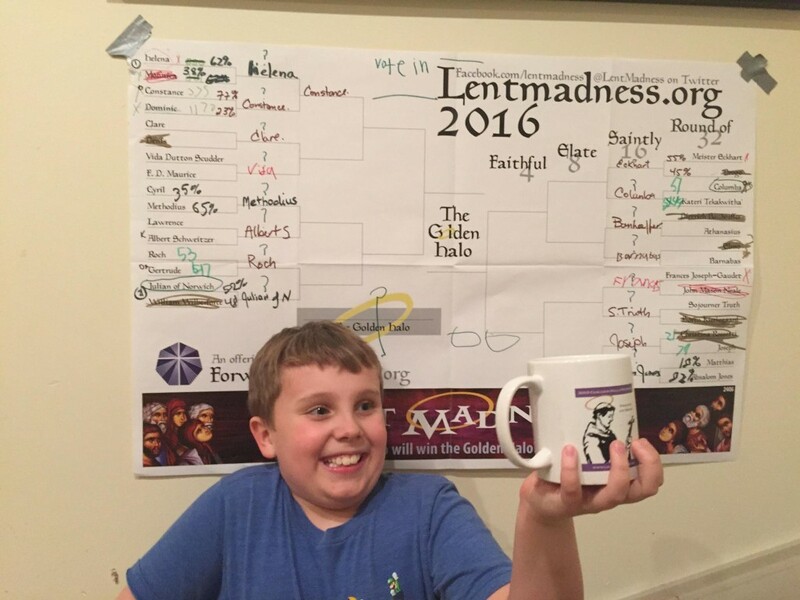 Way to go Oliver — you have really made this year’s Lent Madness even more interesting with your observations on the Saints. Runner Up. 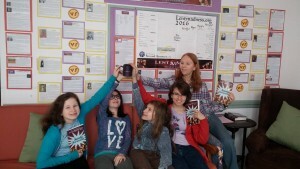 Our kids and teacher Robyn have done a fantastic job this year – and had a grate time doing it. They set a high bar for our congregation. Go Oliver ! So happy you won! Love it! Congratulations, Oliver! You beat out many worthy entries. Congratulations, Oliver. You always know how to get to the heart of the matter re any matchup. oliver eight years old! I love that kid’s comments! Congratulations, Oliver! So glad you won. I look forward to your comments each day. You’ve made my Lent Madness even more enjoyable. Congratulations, Oliver! How nice to see a picture of you at last! Congratulations, Oliver! It’s great to see you win, and it’s great to SEE you! Take good care of Saint Francis for us. Way to go Oliver! Couldn’t think of a better winner! Way to go, Oliver! Smart and good lookin’. Congrats, Oliver, and a big shout-out to all those under the age of 18 who have participated in this community–Martin and Sarah, I know by name. But I know there are lots of others! 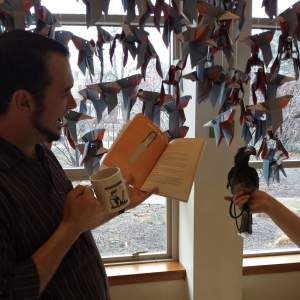 You make our conversations and musings so much richer. Thank you! Woo hoo! Great photo, Oliver! The SEC has shown it’s great wisdom once again! Ah that is the best! Well done Oliver! What a smile! 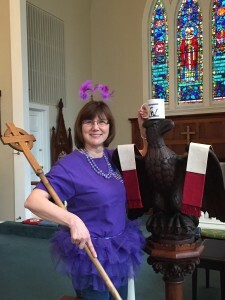 When Oliver finishes college and then seminary (Of course he’ll do Sewanee), he will be ordained and then move through the ranks and become Presiding Bishop. Or, he could take over LENT MADNESS as the SEC will probably be doddering elderly retirees and that ferret will have moved on to fertilizing the church grounds in Hingham MA. Bloggers, get ready to get Oliver’s bio so we can learn more about him. Above all, congratulations to Oliver-eight years old ! As always the SEC has clearly shown why they are the “Supreme” and not merely the “Super” or “Special” Executive Committee with their choice of Oliver! Congratulations Oliver! 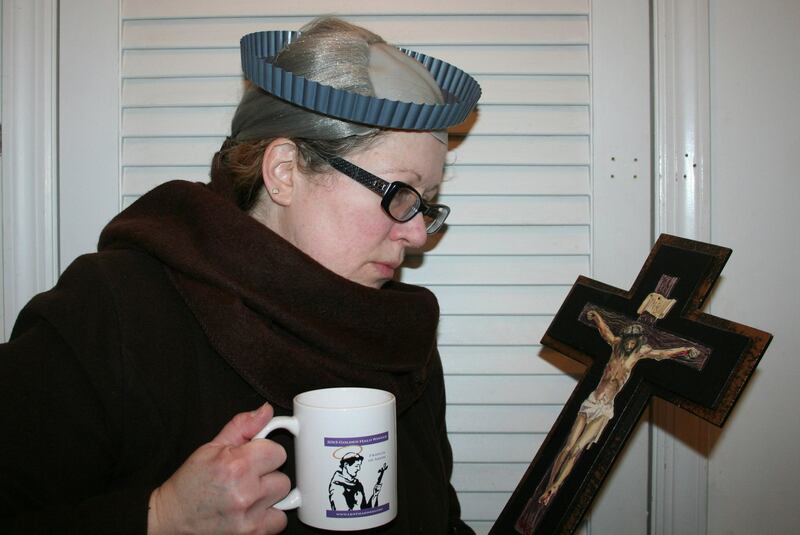 I enjoy and look forward to your comments every day of Lent. It was fun to see some of the runners up and other contenders photos!!!! Thank you for showing the candidates. All were very inspiring. Our rector, Empy Schneider, who introduced us to LM was in the fray. Perfect choice. Not only is Oliver a faithful voter, but his comments I look forward to each day. Now we know what he looks like. Good going SEC!!! Best news I got today. My heart cheered when I saw his face. Congratulations, Oliver! SEC made a fabulous choice. I think if it had been up to a vote, we would have had the same result. So proud of you Oliver! Perfect. I was hoping for a picture of Oliver aged eight. Great commenting, and a great name! Congratulations, Oliver! I enjoy your comments each day, and I can tell from others’ comments that you brighten their days as well. Congratulations to Oliver! Great to see you! I’m so glad to see that Oliver actually exists. Thank you for the picture. I didn’t think any kid got out of bed to be first one to comment on so many days. It is what gets him out of bed. Hooray for Oliver!!!! 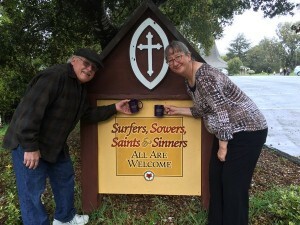 Great photo, and I love your comments on the saints of the day. Awesome! Congratulations, Oliver! You rock! Oliver – even in Northern British Columbia, Canada, your success is celebrated. Way to go, Oliver!! I vote to see his comments! Enjoyable Lent Madness Season. WAY TO GO, OLIVER!!!! WHOO!!! WHOO!!! Well-deserved and most excellent! Yay, Oliver! Governance by supreme fiat does work! Congratulations Oliver, a very worthy winner. Hooray Oliver! Absolutely the most joyful mugshot of all! Great job, Oliver! All of the photos were Saint worthy.Loved seeing them all– especially the one with the candlestick growing out of a gal’s head. Excellent choice! Way to Oliver! Yay Oliver! I read your comments every day before I vote! Excellent choice! Great pictures! Congratulations to Oliver!!!!!!!! St. Oliver for the Golden Halo! Way to go, Oliver!!! You have ROCKED it this Lenten Season 🙂 Congratulations!! Honorable SEC members. 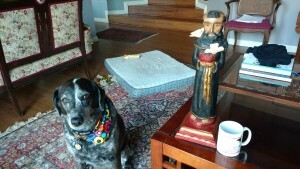 It is time for St Francis, to go on a road relay trip. Traveling in a box really is very overrated, St Francis needs to see the 21st century! 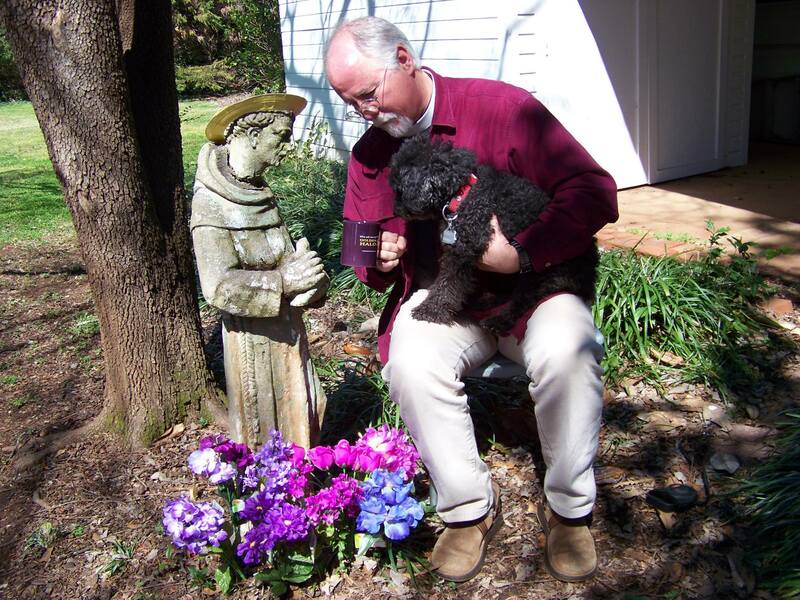 Volunteers will drive St Francis to Oliver’s home parish and will deliver the blessed saint in person. Think of the money the SEC will save on postage!! The world has changed a bit since St Francis last walked along dirt paths and roads. Gotta admit it would be cool driving around with St Francis! Request: please post a St Francis Easter photo. 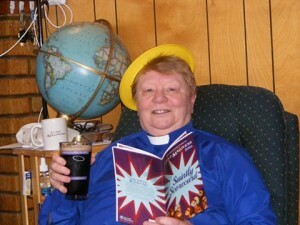 Thanks for all things saintly. 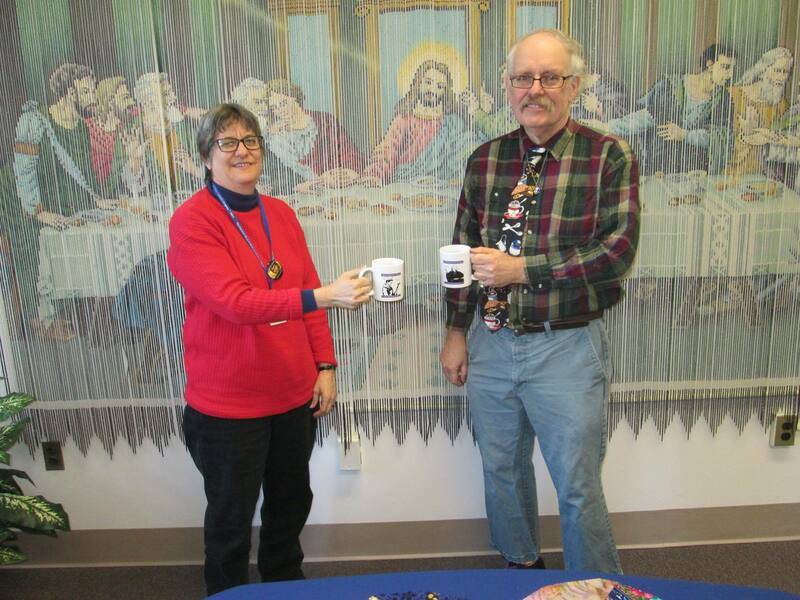 Who knew saints were so much fun for the whole office. Wonderful, Oliver…we always knew you are the best! 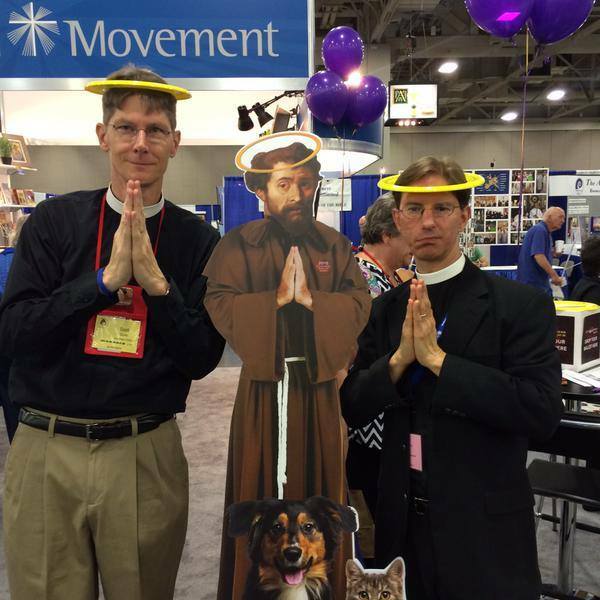 Thanks for playing along in LM and congratulations on winning the St Francis cutout. How good is this? Congrats to Oliver–glad to have a face behind the name. 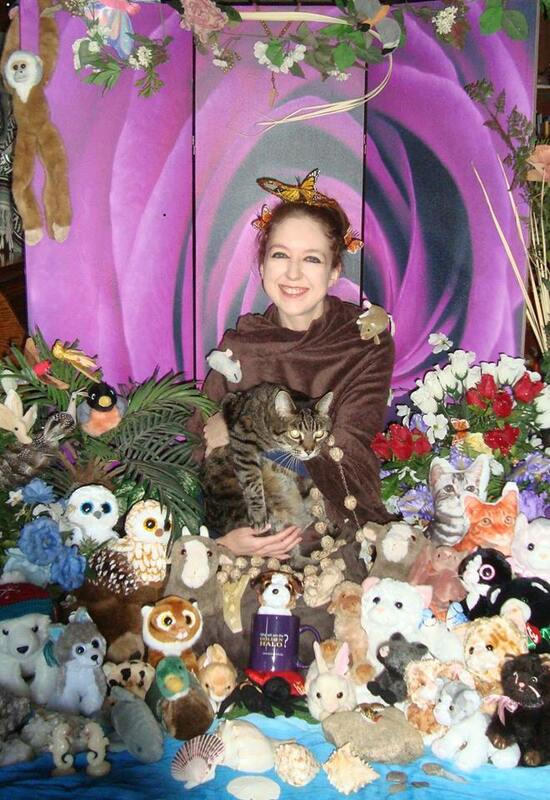 Now, you DO realize that we expect to see a “family portrait” soon that includes St. Francis. Great Mug Shots everyone! Well done! Congratulations, Oliver! Thanks to the SEC for all their hard work.